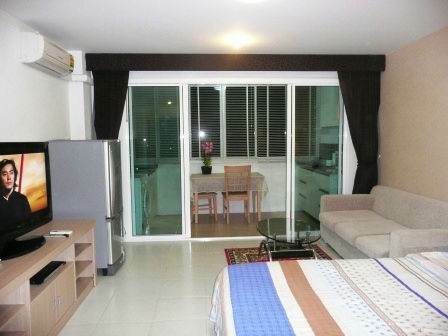 AD Condominium floor 8 unit 813 near Wong Amat Beach, Naklua. High-speed Broadband Internet with cable and Wi-Fi. A fully-equipped fitted kitchen with granite working surface, 2 hotplates, front-loading washing machine, dining table and chairs.